Burn more calories–even while you’re sleeping! The word metabolism is thrown around a lot when it comes to weight loss–so much so that most of us don’t even know what it means anymore. 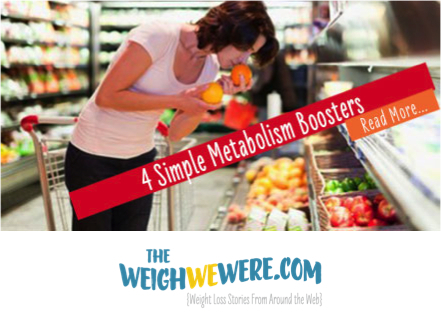 Simply put, metabolism is the process of converting calories from food into fuel. Your body is always burning calories–when you’re eating, walking, working out or just sitting around breathing. Want to get more calorie-zapping power from all of these activities, 24/7? Our experts tell you how. Eat Several Times a Day: Your metabolism is your body’s furnace. Let it go too long without fuel and the fire will start dying down: You’ll burn fewer calories all day long. Stoke it regularly with the right food, though, and it will burn happily away. British researchers learned that women who ate the same amount of food as usual but divided it into six mini meals got a small but notable metabolic boost compared to those who ate more irregularly. Why? Metabolism climbs during digestion, explains Roberta Anding, R.D., director of sports nutrition for Texas Children’s Hospital in Houston. Munch on Protein: You may be able to maximize the calorie burn you get during digestion by eating proteins like lean meat, cottage cheese or eggs with each meal. A study of college women found that their metabolism jumped twice as high after eating a high-protein meal than one packed with carbs. Strength-train: “Lean muscle tissue uses up more calories than fat tissue–even when you’re just sitting around,” says Wayne Westcott, Ph.D., fitness research director at the South Shore YMCA in Quincy, Massachusetts. “So the more muscle you have, the more you’ll burn.” The average woman can replace two to three pounds of fat with the same amount of muscle in just two months by lifting weights twice a week, research has shown. “That increases metabolism by 6 to 8 percent, which translates to burning about 100 extra calories a day,” says Westcott. 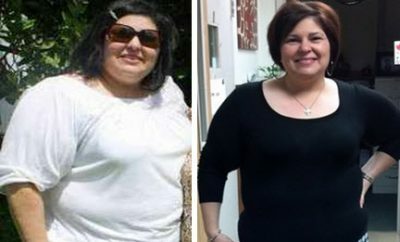 Nutritionist Anding is proof: She had her resting metabolic rate (the number of calories you burn in a day doing absolutely nothing) measured before and after she started strength-training two to three times a week. It jumped from 1,200 calories a day to 1,600 a day over the course of one year. Rev Up Your Cardio: The more intensely you exercise, the higher your metabolism climbs during your workout–and afterward, says Westcott. Since most of us would keel over if we sprinted for an entire 30- to 45-minute cardio session, your best bet is intervals: alternating one to two minutes of as-fast-as-you-can-go activity with three to four minutes at a more moderate pace. Work out like that and your body will continue to burn calories at a higher level for well over an hour after you finish, says Westcott. A Canadian study found that intervals helped women burn 36 percent more fat during their workouts compared with less intense sessions.